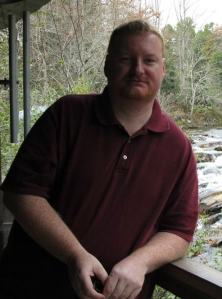 HomeHow to be a Great Guest Blogger by author @RonovanWrites! 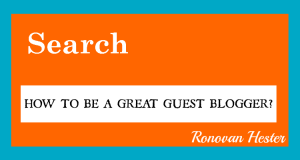 How to be a Great Guest Blogger by author @RonovanWrites! Visit my guest post on Hugh’s blog. Some great advice in the comments as well. Seriously. When Hugh offered to host a day during my first ever Book Tour for the soon to be released Amber Wake-Gabriel Falling he said to write what I liked, or words something like that. The man puts too much trust in my, often times, maniacal hands. If any of you know me, you know I have written some strange things, with a sense of humor that only I understand. I’ll try to be a good boy today. I’ve stumbled and fumbled along this blogging road long enough, to have found my way to temporary sanity. Knowing Hugh, and knowing his blog, the topic came to me immediately from the many possibilities. ← Five Star #Book #Reviews & #99Cent #BookSale!